Bill was right. And here’s the scientific proof. The study took place in 8 years ago. The researcher had long pondered the Pepsi Challenge. You may remember the campaign from back in the ’70s & ’80s. It was pretty basic: blindfolded subjects tasted samples of Pepsi and Coke and, seemingly uniformly, chose the Pepsi. The researcher wanted to know why, then, Pepsi didn’t dominate the market, if people preferred it so consistently over Coke. So, he lit up subjects with an MRI while they tasted the two products. 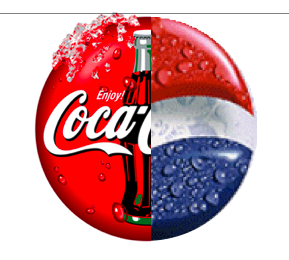 When they were not told which was which, they chose the Pepsi more often. When they did know, they chose Coke. AND HERE’S THE NOTABLE PART: when they preferred the Coke over the Pepsi, the medial pre-frontal cortex,the part of the brain associated with “higher thinking,” lit up. The researcher surmises that the subjects are recalling advertising content. I would contend that the subjects are tapping into the BRAND, and the brand is far more than simply an aggregation of commercial messaging. 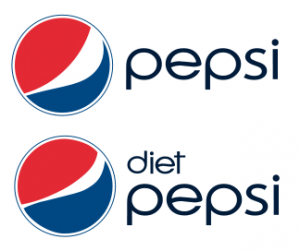 A Brand is a gestalt. It is a whole, a summing of many parts, many of which are commercial messaging, but many of which are also experiential in nature. This accretion becomes an integrated, functional unit that cannot be defined simply by those parts. Brand is story, and flavor, smell, and song. Brand comprises links, association, connection. It is a gelatinous tag cloud held together by the gossamer ectoplasm of memory. What we do in places like Cayenne Creative is try to help companies communicate what they think that tag cloud should be. Companies like Coca Cola have been communicating those essences for decades. Pepsi too. Coca Cola has simply done a better job of it. And that’s the real Pepsi challenge.